Defending champion Al Nasr Benghazi (D1) inked 33-year old American guard Michael Taylor (186-85kg-86, college: Iowa State). He started the season at Zhuhai in Chinese ASEAN. In 7 games he averaged impressive 27.0ppg, 5.7rpg, 5.4apg and 1.9spg this season. 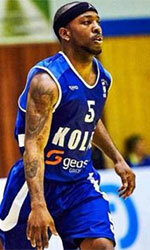 The last season Taylor was tested by Al Gharafa in Qatari league. In 2008 (a year after he left the college) Taylor was drafted by Portland Trail Blazers (NBA) in second round (55th overall). The former Iowa State standoutis in his twelfth (!!!) season in pro basketball. Among other achievements Taylor won Korean KBL championship title in 2017. 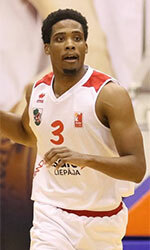 He received also Eurobasket.com Greek A1 League All-Imports Team award back in 2012. Taylor is a very experienced player. He has quite traveled the world as his pro career brought him to eight different countries on three different continents (Europe, Asia and of course North America). Taylor has played previously professionally in Italy, Lebanon (Homentmen and Al Moutahed), Poland (PGE Turow and HydroTruck Radom), Serbia (Crvena Zvezda), Turkey (Yesilgiresun Bld), NBA (Memphis Grizzlies), South Korea (Anyang KGC) and Czech Republic (CEZ Nymburk).